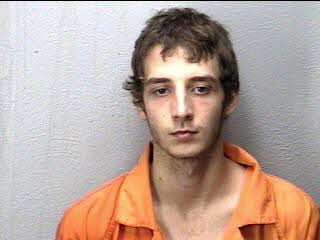 EAST ROCKINGHAM — A 20-year-old Rockingham man was arrested Tuesday after demanding money from an East Rockingham convenience store. Richmond County sheriff’s deputies allege that early Tuesday afternoon, Christian Jade McDonald made the demand for money, then left the Chalk Road store. He was stopped by deputies a short time later on Freeman Mill Road and arrested. McDonald was charged with one felony count of common law robbery and ordered held at the Richmond County Jail on a $10,000 secured bond. He is scheduled to appear on July 2 in Richmond County District Court.